Numbering the tracks (instead of real titles) simply made sense as they follow the logic of a meandering session or, rather, a true exploration, executed with plenty of exactitude. 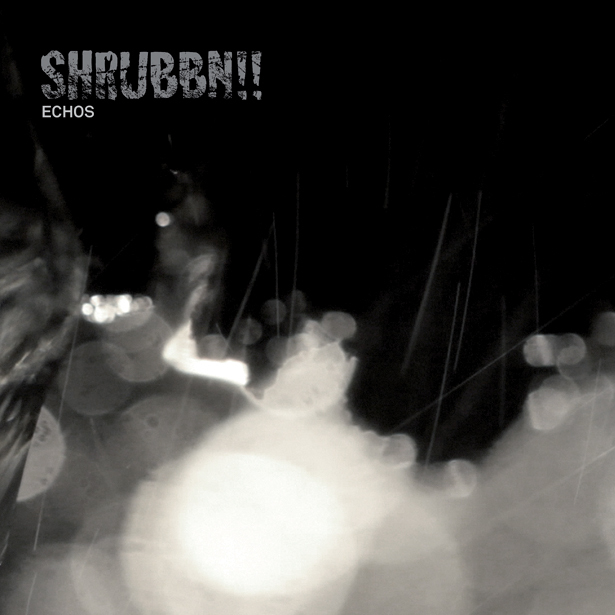 And this time around, it’s all in the detail, starting with the release format: for ECHOS, SHRUBBN!! say no to the prevalent CD format in favour of a truly stunning vinyl edition – a pleasure for both ears and eyes. Together with Berlin video experts TRANSFORMA, the duo also came up with a clever live concept that translates SHRUBBN! !’s music to imagery (for a quick glimpse of this aesthetic tour de force, take a peek at TRANSFORMA’s crisp cover art). And the latter have been busy carving their own niche in the world of art – slow and steady, yet entirely uncompromising – with works ranging from APPARAT’s stunning club set to their own music film SYNKEN and countless of concepts or performances for landmark festivals like Club Transmediale. Backed by this inspired gang, SHRUBBN!! now give us an overall oeuvre of darkest imagery and heavy sounds bathed in ominous crashing waves.